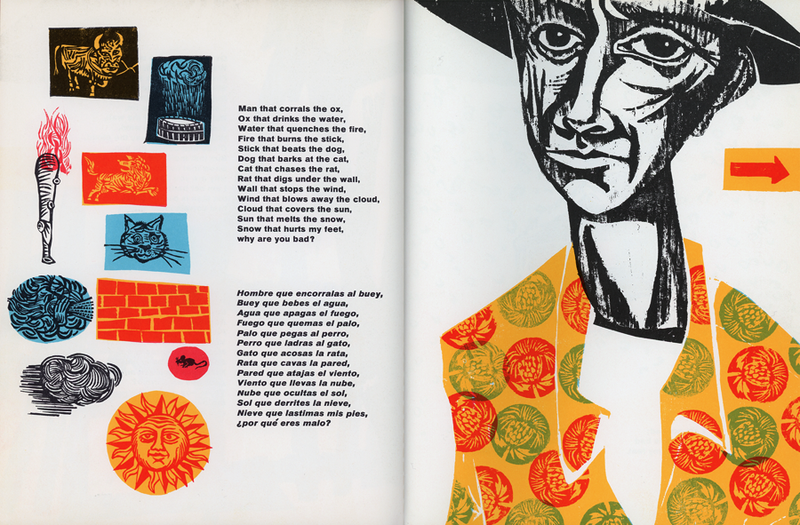 Progressive poems have long been a vital part in the tradition of many countries and one of the most recognizable features of our childhood learning process. Through the changes of scenery and the addition of new characters, children learn that nothing happens by itself, that there are many factors and ‘’players’’ involved in deeds of good and evil, that everything is part of a chain. Antonio Frasconi creates a beautiful book, decorated with vivid and a little bit Gothic woodcut illustrations, written in two languages, Spanish and English. 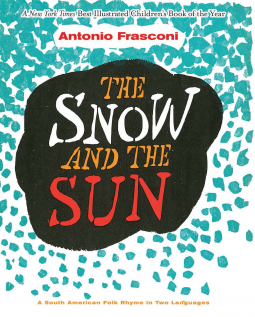 He transfers a South American folk rhyme about the battle between the Snow and the Sun into a tale that starts with the plea of a young girl, trying to walk through a heavy snowstorm and forms a circle that ends with a human, only to begin anew. A book that is perfect for young learners of either language (I will definitely use it in my youngest classes) and a beautiful work of art for an atmospheric winter night. Many thanks to Dover Publications and NetGalley for the ARC in exchange for an honest review. Look lovely, Amalia, and using it in your classes is wonderful. Thank you so much! This one is a little gem indeed.